UP to 1,200 nurses in the Mid-West look set to approve industrial action early in the new year over “unsafe” plans to provide more than 100 extra beds in corridors and unsuitable rooms at Ennis Hospital and other local acute hospitals without extra staffing. Members of the Irish Nurses and Midwives’ Organisation (INMO) and SIPTU will ballot for industrial action during the first week of January over a new HSE escalation plan, which is designed to tackle chronic overcrowding in the emergency department (ED) at University Hospital Limerick (UHL). The general consensus indicates this ballot for industrial action will be approved by a large majority, paving the way for a work-to-rule as a starting point possibly during the third or fourth week of January. 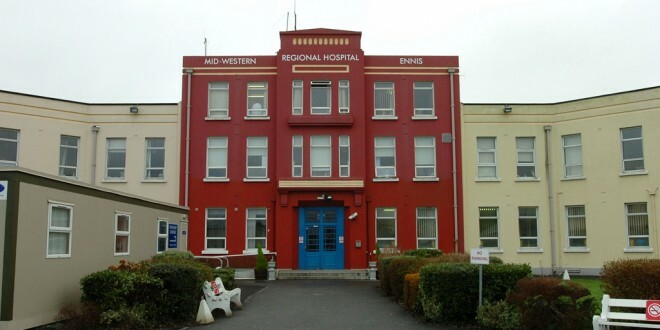 INMO representative, Mary Fogarty has demanded to know who sanctioned the reconfiguration of acute hospitals services in the Mid-West, which involved the closure of 24-hour emergency services in Ennis without putting the required additional resources into UHL. SIPTU sector organiser, Tony Kenny described the proposal to put up to four extra beds in wards in Ennis and a further seven beds in the old ICU without additional resources, discussion or agreement, in excess of the 50-bed in-patient capacity, as potentially “unsafe”. Mr Kenny warned that providing extra trolleys in the corridors of each ward in Dooradoyle without any additional staffing is no more than a “three-card trick” designed to give the impression that overcrowding has eased. “SIPTU view such conditions as being unsafe for staff and patients and also an affront to the dignity of prospective patients. Putting up trolleys on all wards has been tried in the past and following extensive industrial relations issues was subsequently abandoned and deemed to have been an abject failure by all concerned. “SIPTU is concerned there are currently a large number of unfilled nursing positions with subsequent depleted staffing in wards and an overflowing ED. 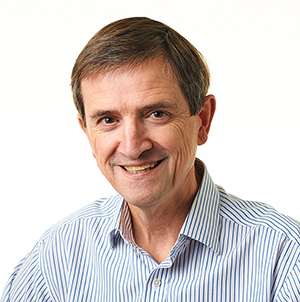 The union has requested the HSE withdraws this escalation plan, which flies against best practice, pending agreement on a workable alternative,” he said. While Ms Fogarty acknowledged there is a need for HSE management to take action to tackle the overcrowding crisis in UHL, she stressed this proposal, which was tried more than two and a half years ago, didn’t work then and wouldn’t work now. She expressed concern that the HSE had opened Ward 1B in UHL with 30 beds, without any approved funding for nursing staff, which would have to be run by agency and other nurses from the hospital. In addition to 25 existing nursing vacancies, she said that another 25 nurses are needed to staff 1B, while other nurses are needed to cover sick and maternity leave. “The whole situation is a mess from start to finish. An inquiry into the whole reconfiguration process is needed,” she said. Fears have been expressed by one Ennis hospital source, who didn’t wish to be named, that patients will be sent out from Limerick to Ennis and placed in clinical rooms, such as the Medical Assessment Unit, which isn’t designed for long-stay care as it lacks call bells, toilets and other facilities. 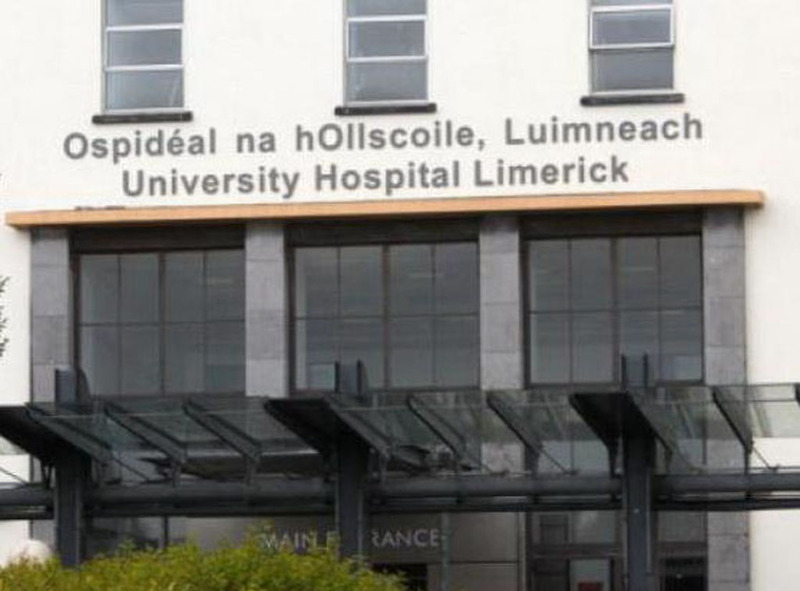 UL Hospitals has expressed disappointment that the unions will ballot members for industrial action over its contingency plan. “Patient safety remains a core priority for UL Hospitals and we take seriously concerns raised by staff about patient safety. It is on this basis that the action was taken to transfer patients from an over-crowed ED to trolleys and beds on wards so that patients can be cared for in a more appropriate setting. “The executive management team will conduct a review of the patient care model and continue to engage with staff to ensure that we are able to provide the best possible care to patients in whatever hospital site or ward they are located. “Extra temporary nursing staff, who were due to start in the new year, are currently being contacted to bring their start date forward to effectively support additional patients on wards. “UL Hospitals welcomes the engagement of the unions in finding a viable short-term solution to over-crowding in our ED until our new ED opens in 2016,” said a HSE spokeswoman.